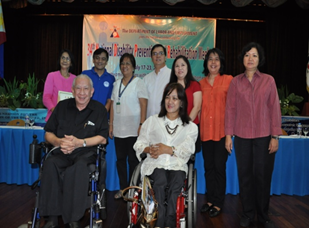 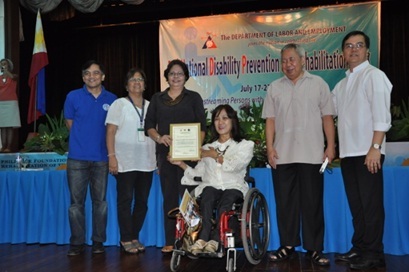 For the 34th NDPR Week, 3 strategic government agencies DILG, DOH and COMELEC bagged the “PWD-friendly Website Awards, after complying with the NCDA-NCC Joint Circular on Web Accessibility, to boost the sector’s “RIGHT TO INFORMATION” towards socio-economic opportunities. 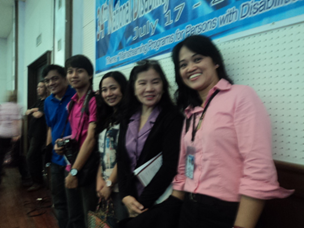 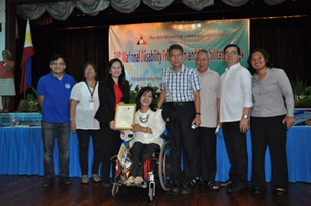 This joint project of the National Computer Center-ICTO, Philippine Web Accessibility Group and NCDA, would not have been possible without the ICT SubCom champions Architect Rizal Morales (DOTC), Merce Nicolas (NCC-ICTO), Noli Agcaoili (NOVA) and Lauro Purcil (DepEd). 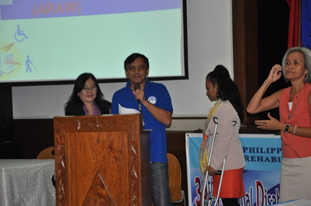 PWAG President Rember “Jojo” Esposa Jr. defines accessible Website and announces the big 3 winners, host based on the set criteria.